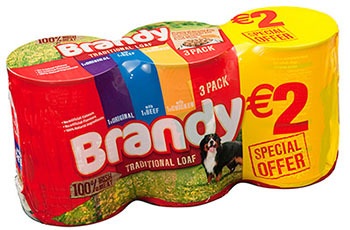 Our popular Brandy Traditional Loaf is packed full of 100% Irish meats and contains no artificial colours or flavours. 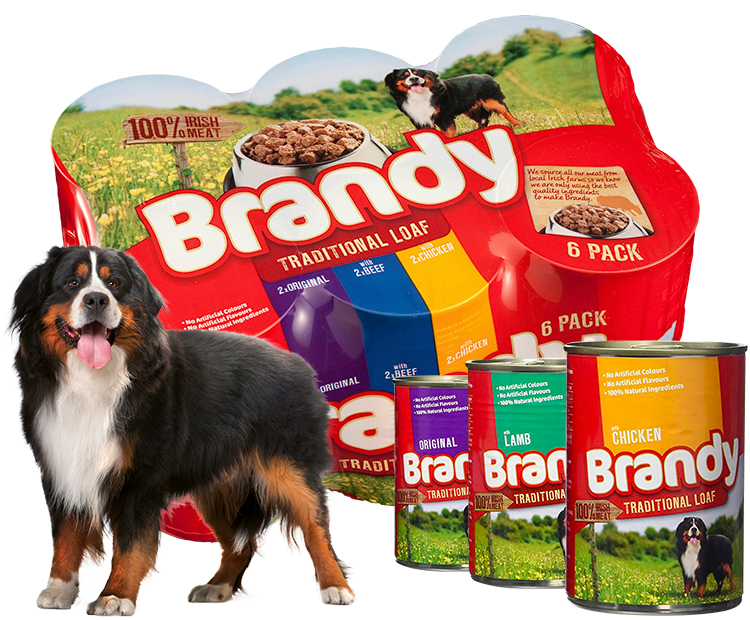 When you give your dog Brandy, you know you’re feeding them a tasty, nutritious meal they’ll love! Technological additive: Cassia gum 2500mg/kg. Analytical Constituents: Protein 8.0%, Fat content 6.9%, Inorganic Matter 3.0%, Crude Fibre 0.3%, Moisture 79%.